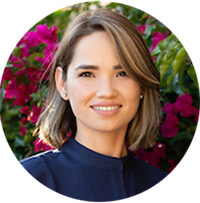 Gloria began working for Dr. Mendoza in 1991 at the age of 14. From this young age, Gloria excelled at learning all the skills required to work in a dental office. She earned her RDA degree and finally earned her present position of Office Manager. Gloria, a resident of Redwood City, also enjoys spending time with he two boys and her husband. 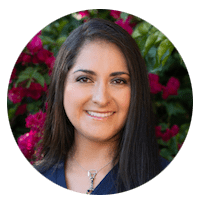 Ana, a native of Redwood City, began working for Dr. Mendoza in 2006. 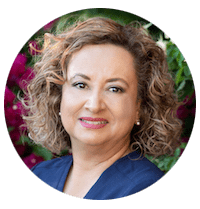 Over the last 12 years she has worked closely with Dr. Mendoza and his dental staff to deliver conscientious and quality dental care to the residents of the surrounding communities. Ana also enjoys spending time with her family during her free time. 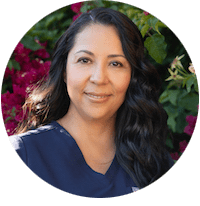 Maira has been working in the dental field since 2008. Bringing all this experience with her, she joined our team in 2017. She is dedicated in helping the doctors deliver conscientious dental care to our patients. Maira, also a resident of Redwood City, enjoys pending time with her husband and 3 children. Alexandra, a resident of Redwood City, started working for Dr. Mendoza in 2006. 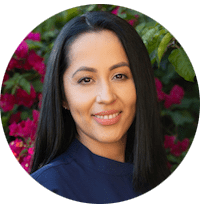 Her time in the dental office has resulted in her being proficient at receiving patients at the front desk and delivering dental care with the doctors. During her time off, Alexandra enjoys being with her two children and her husband. Erika has been in the dental field a total of 17years. 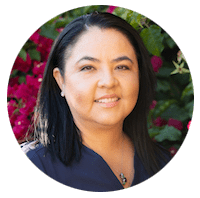 When Erika was 17 years old, she started as an office assistant at Dr. Mendoza’s office where she assisted in sterilizing the dental instruments and maintaining the treatment rooms. With her interest in the dental field growing, she soon began assisting the doctors and became a registered dental assistant. As time passed and her passion grew she decided to attend Canada College and Southwestern college and obtain an Associate’s degree in Biology and Dental Hygiene. By sharing my passion and educating my patients about dental health she encourages them to maintain good oral hygiene. Erika also enjoy traveling and spending time with my husband and son. Josephine Mendoza earned her RN degree from San Francisco State University in 1984. Upon her graduation from San Francisco State University she began her career as a registered nurse working for Kaiser Permanente. She has also been involved in the administration of the dental office along with her husband, Dr. Mendoza. Together they have raised four daughters. Dr. Juan Del Rio’s believes in exceptional patient-centered care in which he works with you to choose the treatment that best suits your needs. Dr. Del Rio is committed to advanced education, attending lectures where he focuses on Cosmetic Dentistry and restorative treatments. Dr. Del Rio keeps up-to-date with the latest advancements in dentistry provide the highest quality of care for his patients. Dr. Del Rio was born and raised in the Bay Area. He earned his Doctorate of Dental Medicine from Western University of Health Sciences in Southern California. He is a standing member of the American Dental Association, the California Dental Association, and the San Mateo County Dental Society. In his spare time Dr. Del Rio enjoys exercising, traveling, and trying new baking recipes with his wife and son. Dr. Erica Tam was born and raised in Massachusetts. She received her dental degree from Tufts University School of Dental Medicine in 2010. She moved to the Bay Area in 2014 and has enjoyed the beautiful weather and great food. She believes that oral health is very important to one's overall health and self-esteem. She aims to get to know each and every one of her patients and provide them with a comfortable and enjoyable experience. 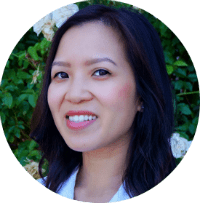 Dr. Tam lives in San Carlos with her husband, and they enjoy traveling, hiking, trying out new restaurants, and working on DIY improvements for their home.